Invideon is a software development studio specialized in core web technologies and the Microsoft technology stack for native applications and web back ends. We take pride in only delivering work of highest quality. Cloud services are increasingly popular, but some services make more sense to keep inside you own datacenter. We have extensive experience in on-premise, cloud and hybrid solutions. While the industry is rapidly moving to mainly web-based solutions, often for very good reasons, native applications still hold many distinct advantages over their web-based counterparts though. We excel in both approaches. Data locked into one device has become unthinkable. Data and thus applications seamlessly need to be available anywhere on any screen. All our native and web-based applications can be made to work across locations and devices. User experience has long been, and still very much is undervalued. Our goal is always for users wanting instead of having to use our software. Making a tool an asset. We strongly believe that no decent software project is ever really done. Delivering a first version is only one step towards a goal. 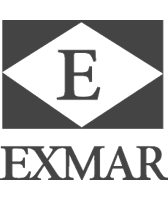 We work closely with our clients to continuously evaluate and improve where needed. Invideon has over 10 years of experience in software development. We specialize in core web technologies and the Microsoft technology stack for native applications and web back ends. 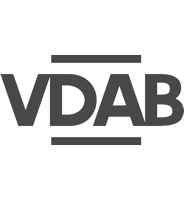 Originally started as an independent project with support from the European Social Fund, now part of the VDAB (public employment service of Flanders). We helped build a new innovative employment website with a focus on parents that are unable to work fulltime. Employers post job openings that are flexible in both time and location. Parents create and maintain a detailed profile and resume. Advanced search functionality allows searching the database for job openings that match skill level, time and location. An advanced algorithm we developed automatically matches jobs with profiles and periodically offers suggestions. We continuously monitor effectiveness with all telemetry data. 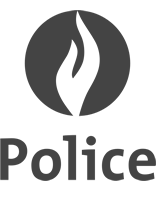 To improve internal communication and collaboration, police district GLM tasked us with building a new and secure intranet. The intranet is built in a modular fashion and consist of a fairly extensive human resource module (e.g. training, evaluations, equipment, accidents), knowledge base, planned meetings and room reservations, projects tracker, bulletin board and more. In parallel we also developed a new public website with a custom content management system behind it. The website is based on two core principles: getting to the desired information fast, and providing as much information as needed in nearly real-time. Invideon accomplished all this with a very intuitive user experience, a fast and accurate search engine and a custom CMS powering all this in a way that other offerings at the time couldn't provide with the same ease and efficiency. 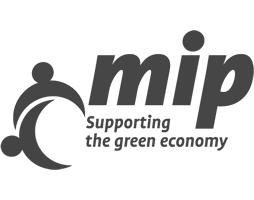 The Environmental and Energy Technology Innovation Platform (MIP) was established by the Flemish Government launched in 2005 as a competence center in which the policy competences of Economy, Science and Innovation (as well as Environment, Nature and Energy worked together. In this first phase, seven research projects with focus on developing new energy and environmental technology where approved by the MIP Steering Committee. In addition, MIP was also active in setting up a working knowledge centre about public procurement. Invideon developed the front-end and back-end parts of the website related to submitting new research projects and improving the flow of communication between all parties throughout different stages of the program. In addition to being a well-known textbook publisher, VAN IN also creates digital educational tools for different age groups. VAN IN, now part of Sanoma Learning Group, has been active since 1833 in Flanders and Wallonia. 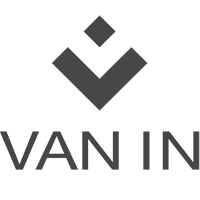 In 2015 VAN IN won the London International Educational Learning Resources Award for Bingel, its e-learning platform for primary education. Invideon was responsible for all front-end and back-end work required for a brand new corporate website. A custom content management system was developed to satisfy all requirements. Besides enabling some very domain-specific features, the CMS allows for setting up and managing all of its different minisites in one easy to use portal. Minisites focus on one specific product or product group. Different functionalities become active or change depending on whether a teacher or student logs on to one of the sites via a single sign-on implementation. We also developed a tool for authors to track and communicate the status of all criteria they are required to meet by publishers and regulators. We developed a brand new corporate website front to back complete with real-time stock information. 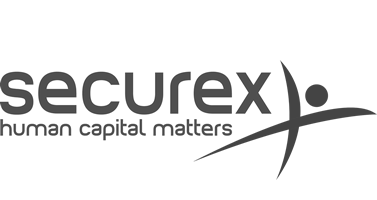 Four large service voucher businesses Plus Home Services, Home Services, Prima and Absolute Home Services, in collaboration with partner Securex came together to make workplace safety their business. Through a variety of campaigns, concrete tips and original films they want employees to be aware of dangerous situations, large and small. Even in an ordinary kitchen or living room. Fewer accidents is the goal. © 2019 Invideon. All rights reserved.